What is drilling detergent and how can it save your company money? Smart drilling is a must in today’s economy. Efficiently extracting every drop of oil from old, underperforming, or otherwise delicate wells is especially important. Maintaining the integrity of new and reliable wells is also vital. The use of drilling detergents has been a common practice in the oil drilling industry to help achieve the aforementioned goals. Drilling detergents can improve the thermal stability, lubricity, and integrity of well-bores. These benefits can lead to incredible savings. Detergents also aid in the enhancement of water flooding techniques, act as effective surfactants, and are used as cleaning agents for rig wash and other applications that rely on cleanliness for safety and efficiency. Oil drilling relies on dispersants. These are simply cleaning chemicals that break up solids or liquids that impede the drilling process by turning them into small particles. In this way, the particles are separated and dispersed from the oil. Drilling detergents are a specific type of dispersant that are used to aid in the extraction of oil from foamy and muddy mediums. The detergents separate the foamy component of the medium and disperse it into the air. Detergents are basically used to limit foaming in muddy mediums, including fresh water, sea water, and brine system muds. Drilling detergents are also used to aid in the removal of metal particles left behind from the drilling process, dirt and build-up, and mud that occurs in the well-bore and casing. How can drilling detergent save my company money? An effective drilling detergent has multiple applications that can help save time, improve efficiency, create a sustainable drilling site, and save money. As a well bore cleaner, drilling detergents help maintain a free flowing well bore. As oil wells are heavily used, they age and can decline in production. Part of the reason they become less efficient is because of build-up caused by sand, waxes, water emulsions, and acid stimulation chemicals. When sediment and emulsions are broken up and dispersed from the well bore, a more productive flow can be achieved. By cleaning out and essentially opening up a well bore, oil can flow through it faster and in greater volumes, increasing the productivity of oil wells and requiring less energy to extract. Drilling detergent is a powerful well bore cleaner that has the potential to not only extend the life of wells, but increase their flow. As a rig wash, detergents play an important role in meeting environmental sustainability goals, and keeping equipment clean, safe, and operating with efficiency. Environmental monitoring and restrictions at drill sites are becoming more intense. 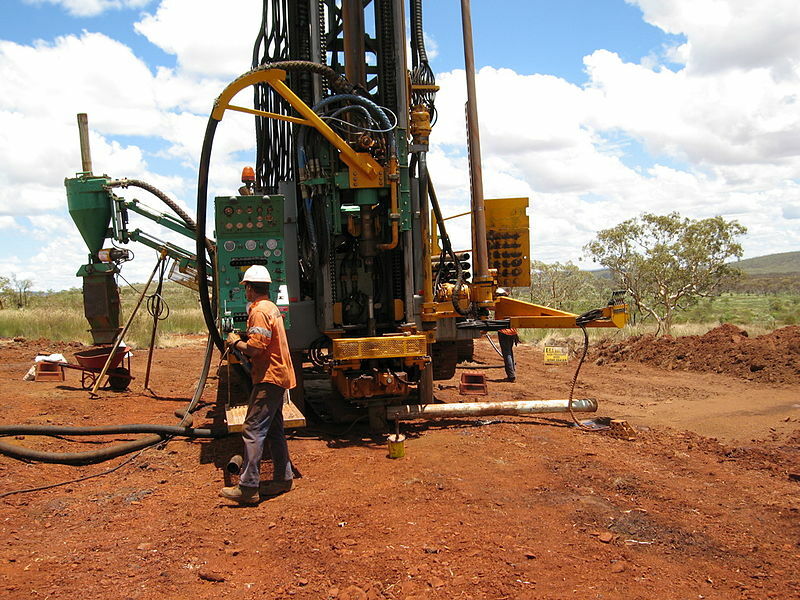 Scrutinizing the products that are used to clean and maintain drilling machinery is commonplace. From waste water regulations to municipal disposal laws, detergents can help reduce the environmental impact of drilling operations. Using rig washing detergents is a must for drilling projects. Its use improves safety conditions for drilling crew members and helps to prevent contaminants from impacting the environment at the drill site. These detergents break down solids, oil, and bacteria that enter the drilling fluid during a project. The biomass created by the rig wash makes clean-up easy and efficient by helping release the material from the surfaces it adheres to and helping it biodegrade more easily after clean-up. Clean machinery and drill sites take less time and money to clean up, and reduce costly accidents. By introducing effective detergents to your maintenance routine, you can realize improved efficiency of equipment and better safety for your employees. Universal Cleaner/Degreaser. 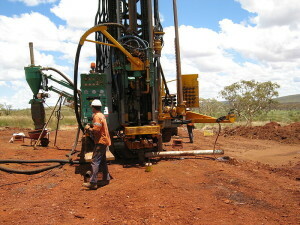 Drill sites can become awash with grease, mud, oil, and other substances drawn up from the well bore. Having a powerful and effective detergent on hand can help clean up areas quickly to keep operations moving smoothing, and to improve the safety of the worksite. Coil tubing cleaner. Keeping your coil tubing clean and unclogged improves efficiency and production. Engine cleaner. A clean engine is a safe and efficient engine. Detergents can be diluted and used as effective engine cleaning solutions that remove grease, oil, and other build-up that can inhibit the performance of an engine. Oil spill and driveway cleaner. Drilling detergents play a key role in effective oil spill clean up. Parts cleaner and shop cleaner. You can keep a tight ship by cleaning your shop with drilling grade detergent. Slick water surfactant. Higher pressure shale fractures can be achieved by using drilling detergent as a slick water surfactant. By reducing the surface tension of the water, detergents can increase the flow of water in wells, helping the slurry create more pressure. Water flood surfactant. Water flooding old and underperforming wells has proven an effective way to revitalize them. Stimulating the well with water can rejuvenate a well and allow it to continue producing at higher rates. Introducing a small amount of detergent as a surfactant during the flooding process can reduce trapping and create improvements in sweep efficiency. Drilling detergent comes in concentrated form, which allows customization of formulas for different applications. Mixing a detergent with water typically enhances its performance. Detergents are used in multiple drilling areas that rely on water base drilling fluids. Drilling detergents work to emulsify oil in fresh and sea water muds. They reduce the viscosity of contaminants present in oil. Drilling detergents reduce torque and drag during drilling operations. They reduce occurrences of bit balling. Previous Previous post: How does foaming hand soap really work? Next Next post: The 5 most common places germs build up in your commercial kitchen.